Are you thinking about building a deck for your home? This is a major decision that can enhance the value of your home. It can also create a comfort zone for you, your family, and friends. 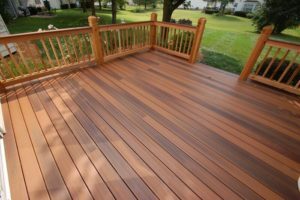 There are some things to consider before building a deck. Don’t take this monumental decision for granted. The more effort you put into it; the better your deck will become. Deck options are only limited by your imagination and budget. Let’s look at some of the factors you should consider. Today we are going to talk about choosing the ideal deck railings for your home. You have a beautiful deck on your home. But something seems to be missing. The deck does not have any railings. This is not good from a safety viewpoint. If you have small children, they could fall off. The right railing could also enhance the beauty of your home. Are you ready to install some railings on your deck? 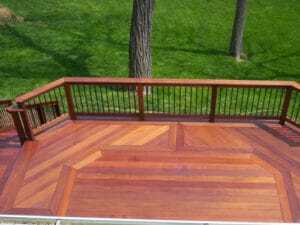 Let’s explore some ideal options for deck railings. Choosing materials for custom decks has become a challenge. Long gone are the days when the pros gave you one and only one choice. Nowadays, you get to choose the material and then you have to pick again since each material comes in a variety of options. And then you have to choose finishes and decide whether you want stairways and a deck railing system. Got a headache? Let us make things easy for you. The American Dream included a suburban house with a white picket fence… And although the concept drifted away, the wood fence idea is pretty much alive and in fact very popular. So, let the fence be made of wood, please, and add a gate too. After all, those two go hand in hand. You can’t have a fence without a pedestrian gate and you can’t have a pedestrian gate without a fence.